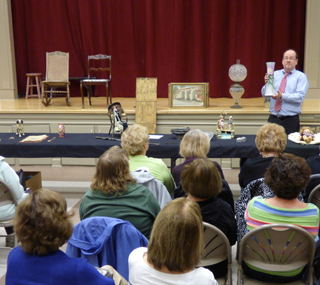 As one of the region’s most respected antiques buyers, we are proud to support our local communities by taking part in speaking engagements & appraisal day fundraisers, especially for charitable and nonprofit organizations. 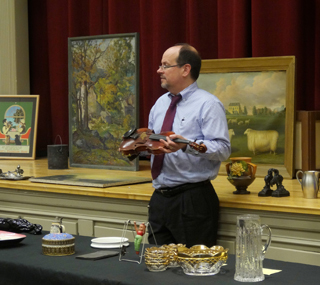 We offer speaking engagements structured similar to the Antiques Roadshow, with paid admission you can have your items evaluated while learning what is trending in the current antiques market. We also offer buying events where the public is welcome to bring items for sale with profits benefiting a charity. A great way to sell your antiques while supporting a local organization. Scotia Glenville Chapter AARP, Glenville, N.Y. The Brunswick Historical Society, Brunswick, N.Y. The Rensselaer County Historical Society, Troy, N.Y. The Charlton Historical Society, Charlton, N.Y.
Friends of The Bethlehem Public Library, Delmar, N.Y. The Schenectady Museum, Schenectady, N.Y.
Burnt Hills Rotary, Burnt Hills, N.Y.
Morgan Stanley Dean Witter, Albany, N.Y. Troy Christian Womens Club, Troy, N.Y.
Clifton Park AARP, Clifton Park, N.Y. Contact us to discuss your upcoming gathering.